The Superman: The Movie slot machine from Playtech is a solid enough game when taken on its own. However, when compared with the other DC Comics slots from the same designer, it feels sorely lacking in features. It’s not that there is much wrong with the title, it’s more that it doesn’t offer much new and when given the choice between playing Superman: The Movie and Superman II, the latter wins out every time. Progressive jackpot. We love the opportunity to win life changing sums of money. Feels a bit lacking in the feature department. 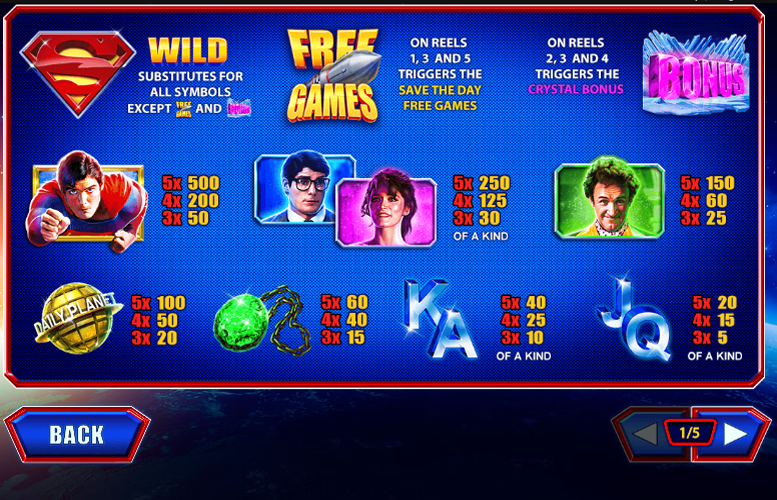 Playtech have a Superman slot machine that is absolutely loaded with bonus features, Superman: The Movie doesn’t add anything over and above and thus feels a little pointless. Superman = 500x the line bet. Lois Lane or Clark Kent = 250x the line bet. Lex Luthor = 150x the line bet. Daily Planet = 100x the line bet. Kryptonite = 60x the line bet. Landing the “Bonus” symbol on reels two, three, and four triggers the Crystal Bonus. Players must pick crystals to win cash prizes and special features. The “repeat” symbol will reshuffle all the 14 crystals and starts the feature again. All prizes won before the shuffle are then awarded. Finding the 2x and 5x multipliers will multiply all cash prizes collected so far. Prizes revealed after the multipliers will not be affected. The kryptonite will end the bonus. This awards all cash prizes collected so far. Finding the Superman logo will reveal all kryptonite pieces and will allow the bonus to continue. Landing the “Free Games” symbol on reels one, three, and five triggers the free games mode. 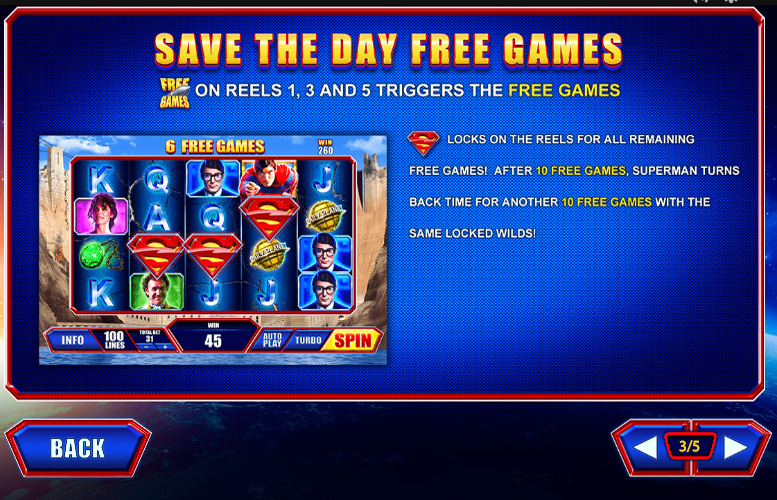 During this, any Superman “wild” logos will lock to the reels for the remaining free games. After players have played ten free games, Superman turns back time for an additional ten free games with the same locked “wild” symbols. The game’s progressive jackpot mode can be triggered during any main game spin. Whilst any bet size can activate the mode, the higher the bet, the more likely players are to trigger the mode. 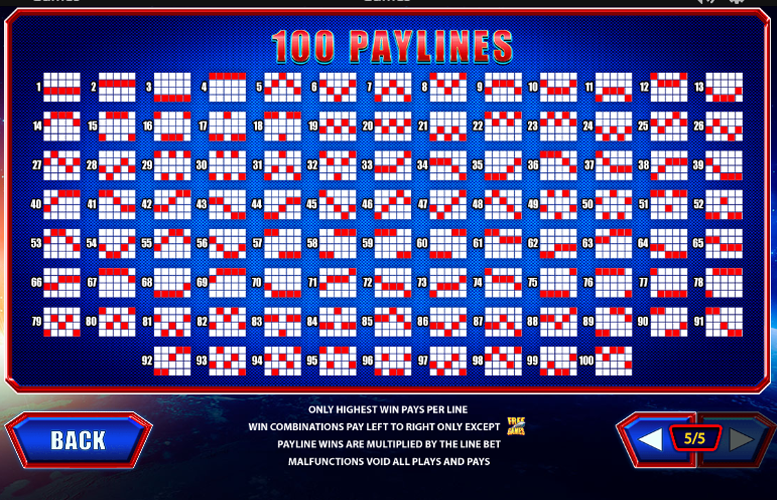 During the DC Super Heroes Jackpot, players must select from the 20 jackpot symbols presented to them. Under each one is a different coloured icon. These correspond with one of four jackpots of different sizes. The first one to entirely fill up is awarded to the player. 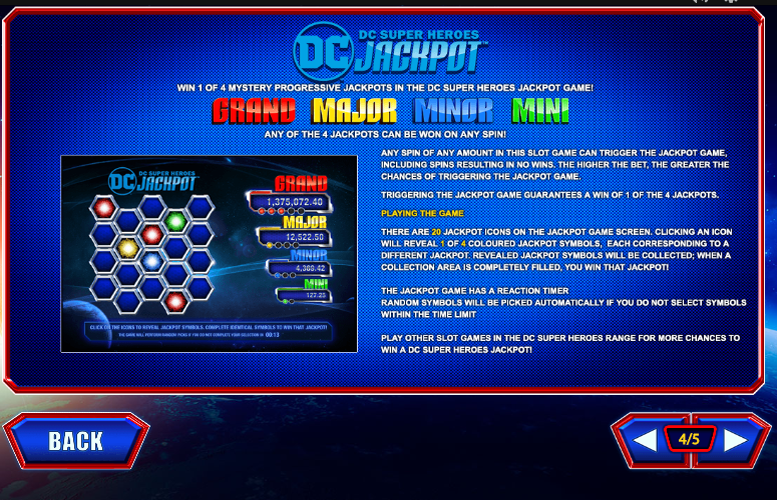 The best part is that a progressive jackpot must be won every time the DC Super Heroes Jackpot mode is triggered. Ace or King = 40x the line bet. Queen or Jack = 20x the line bet. The betting limits on the Superman: The Movie slot machine don’t make all that much sense. There are 100 win lines that must be played and yet the minimum total bet is just 60p. This means that the lowest possible bet per line is a bizarre 0.6p. Meanwhile, the upper betting limit makes comparably more sense. It’s £80. This equates to a bet per line of 80p. Whilst not massive, it should be more than enough for most players. Superman: The Movie isn’t a bad slot machine by any stretch of the imagination. If it were the only Superman slot machine around, it would be a decent homage to the Man of Steel himself. Unfortunately, there are several slots based on this theme and many of them are much more entertaining. Superman: The Movie suffers when it comes to variety of bonus features. 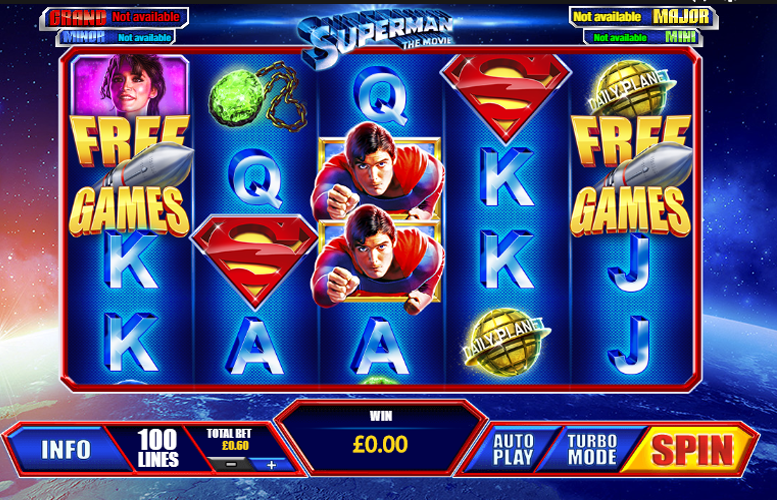 The Superman II slot machine from the same developer gives players three times as many varied side games. Even the inclusion of the progressive jackpot isn’t enough to redeem the title versus its peers. This is because every DC Comics slot from Playtech offer the same progressive jackpot. This game has a rating of 3 / 5 with 243 total reviews by the users.